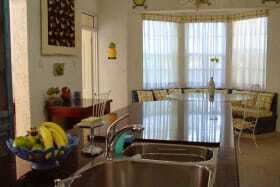 Can accommodate up to 10 guests with ease. 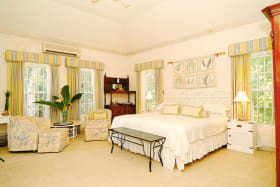 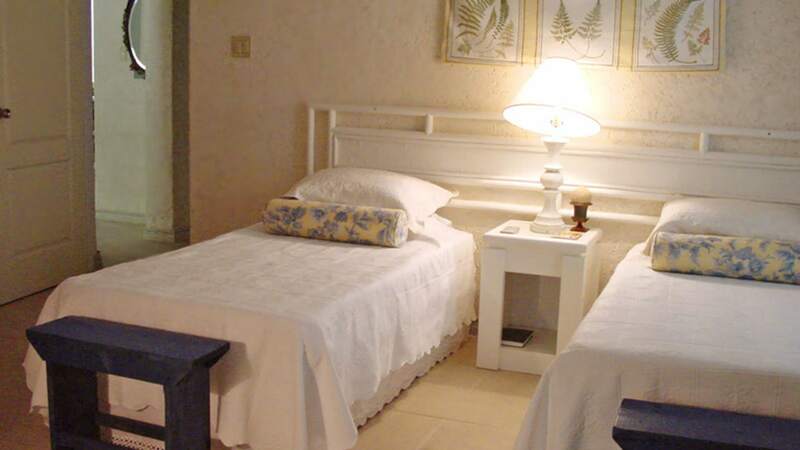 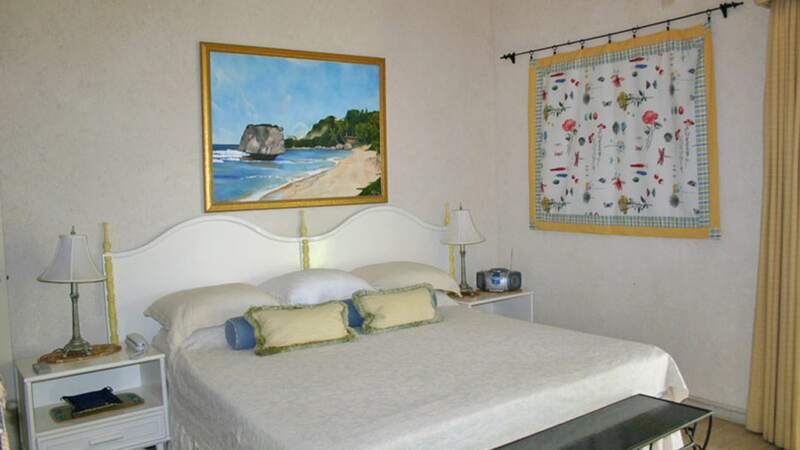 Mon Caprice offers five air-conditioned bedrooms, two on the main floor and three on the upper floor. 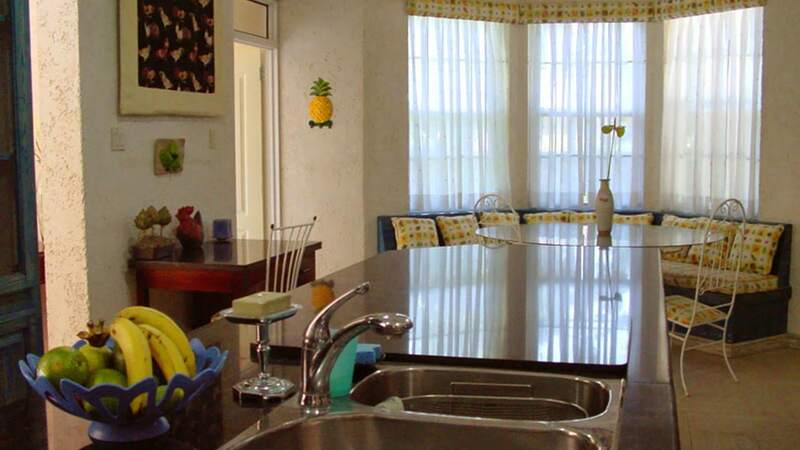 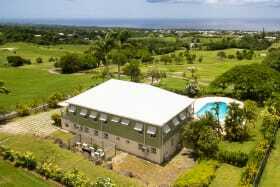 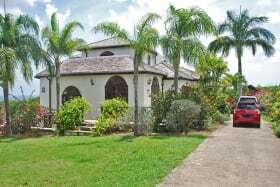 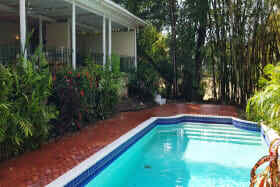 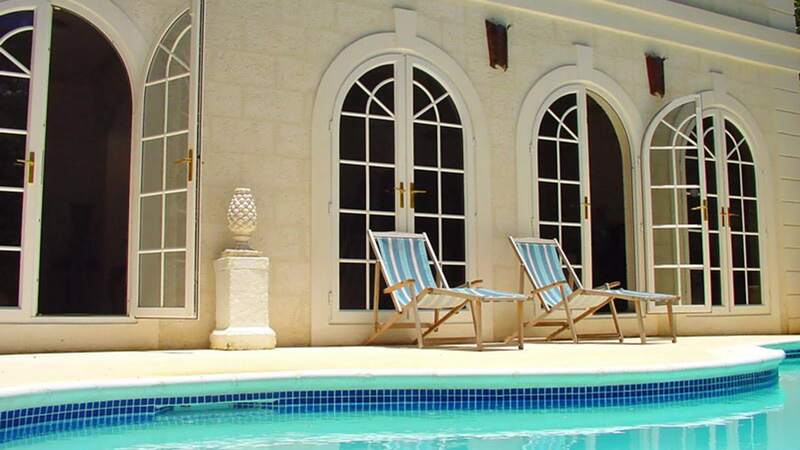 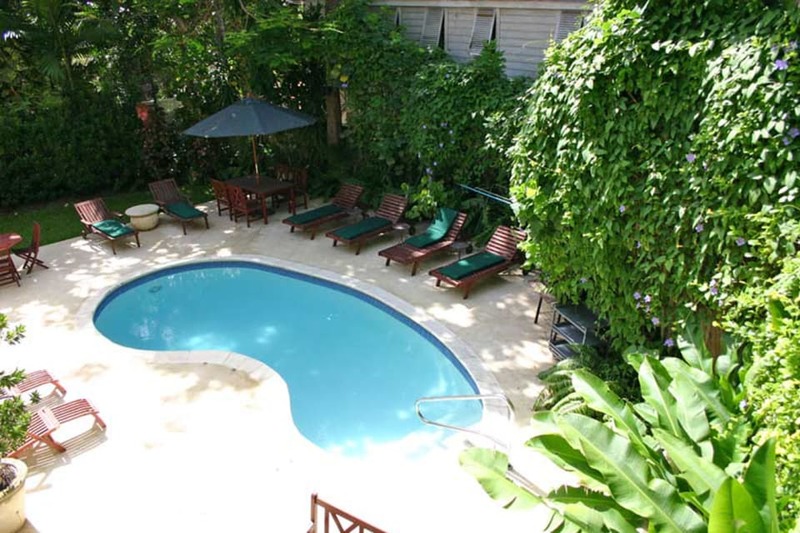 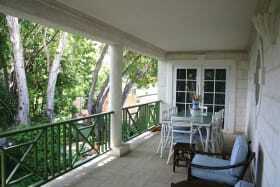 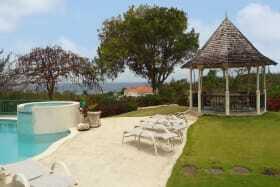 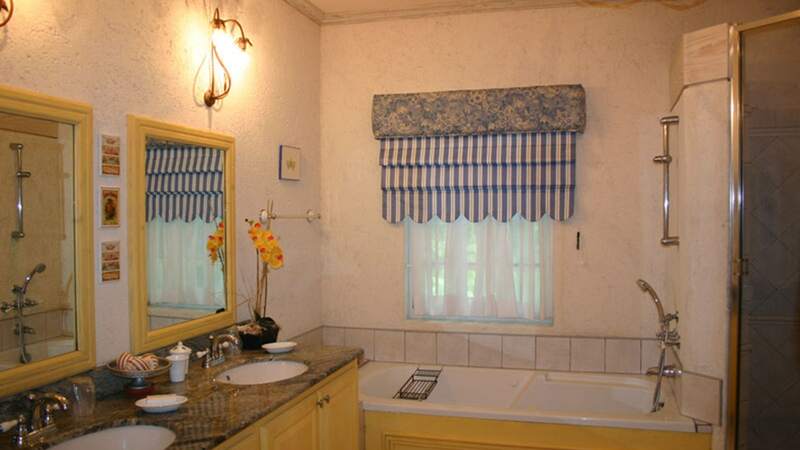 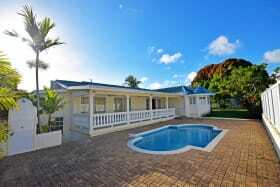 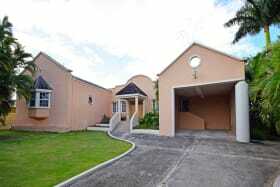 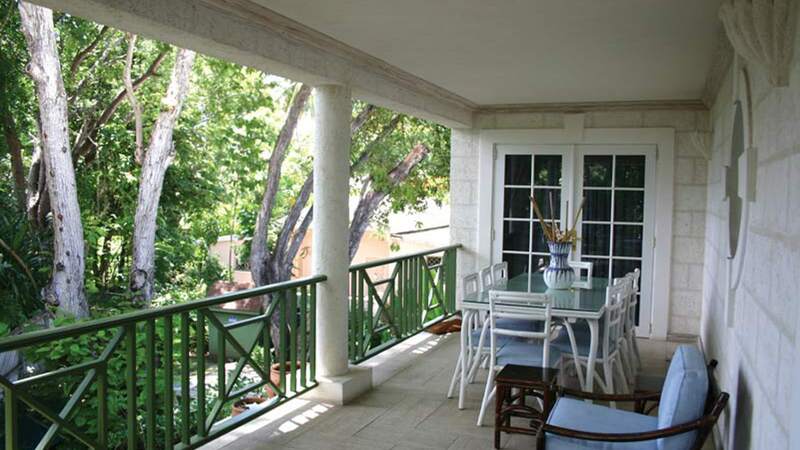 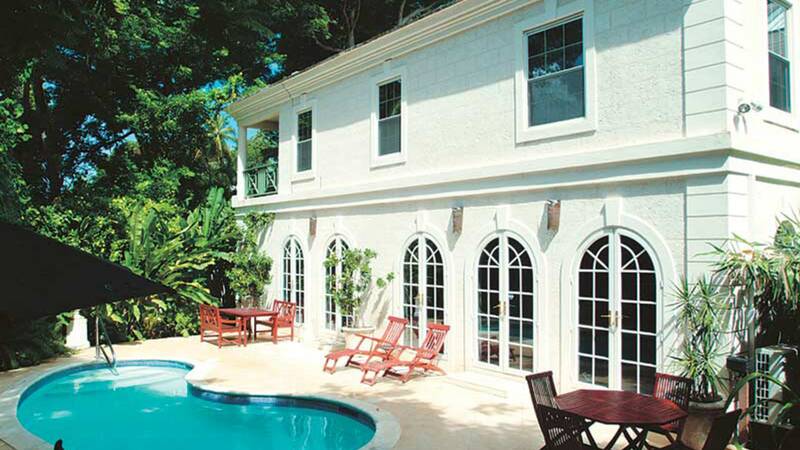 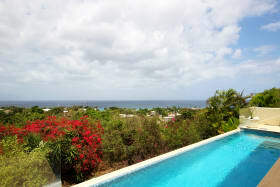 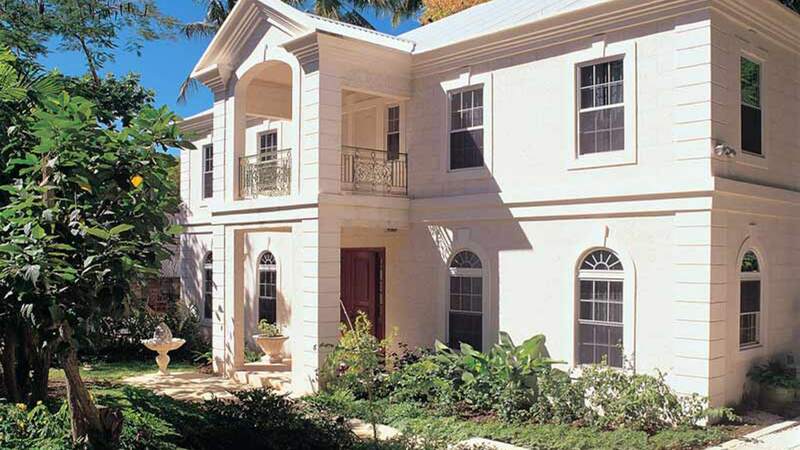 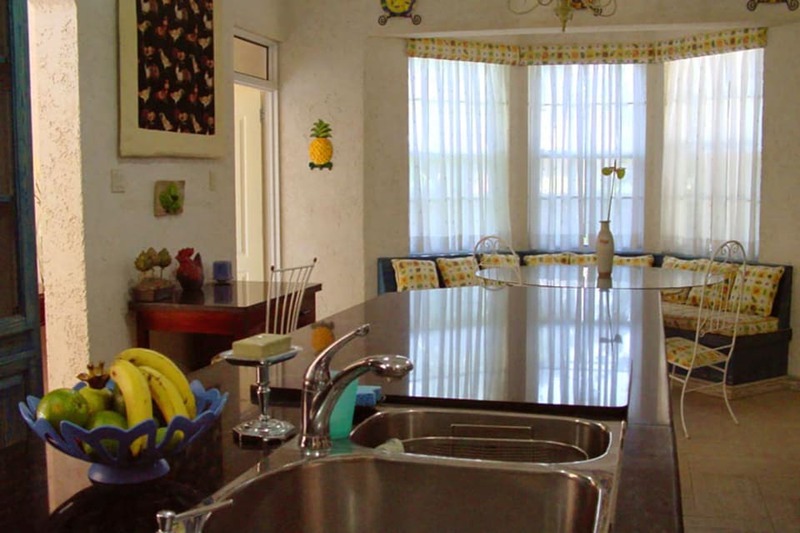 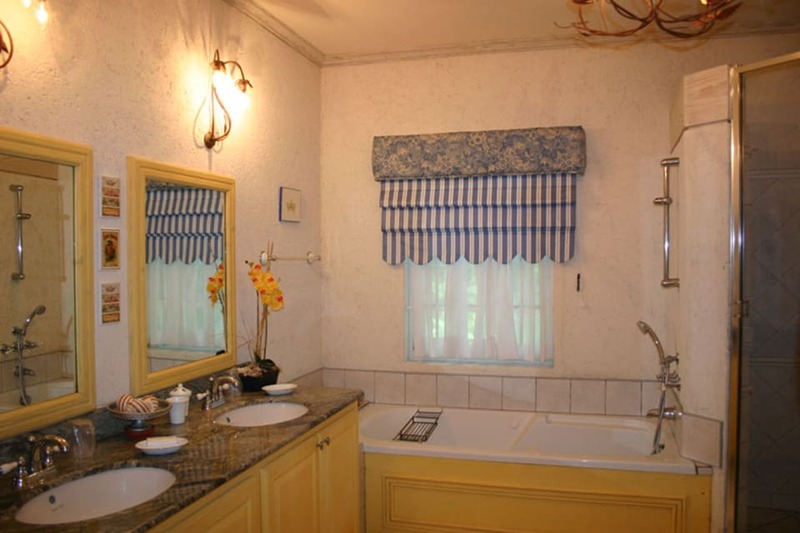 The villa accommodates a maximum of 10 guests. 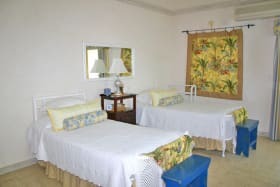 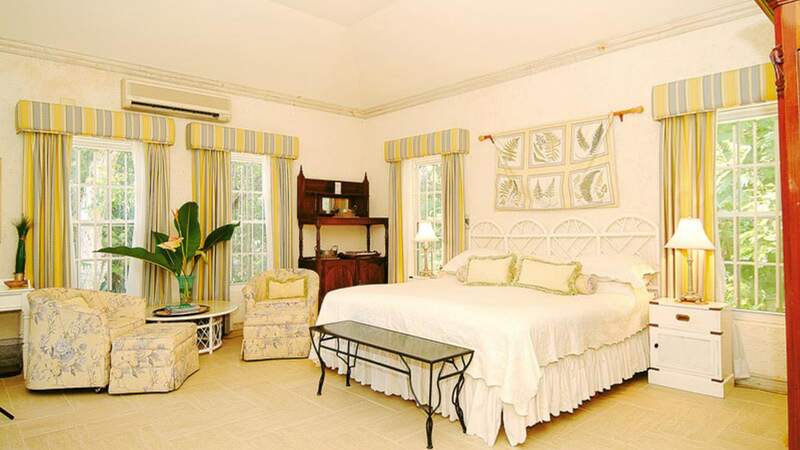 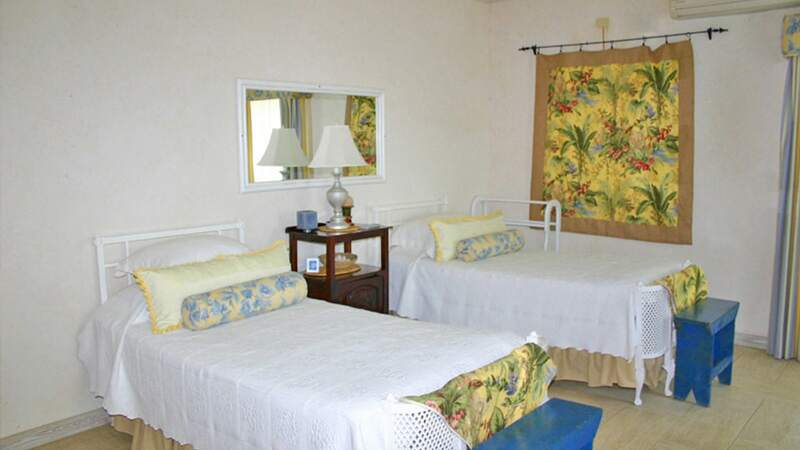 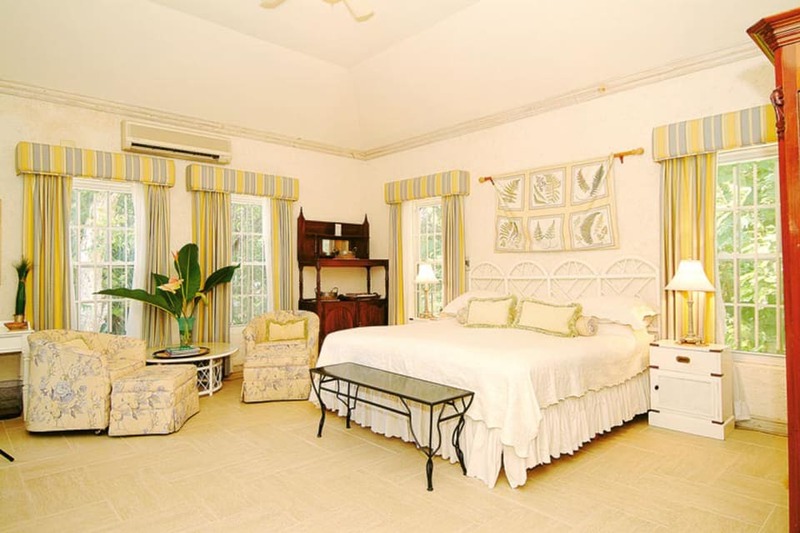 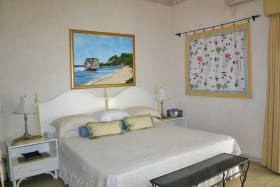 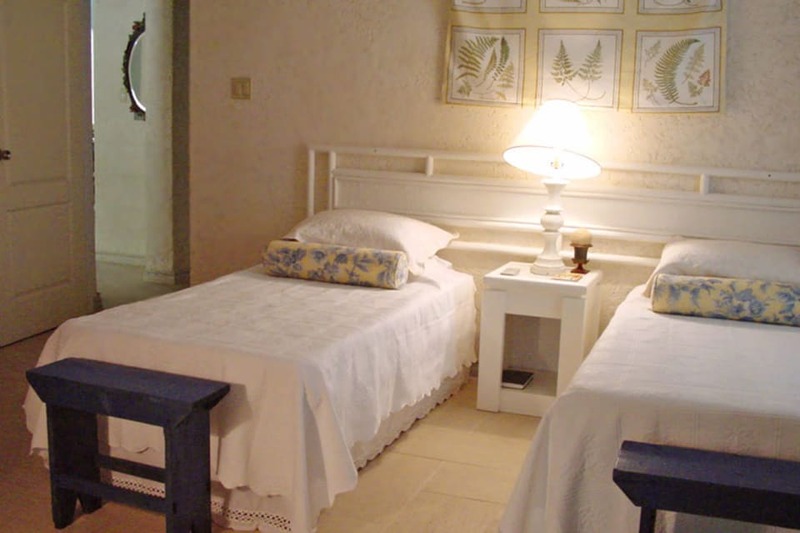 Each spacious bedroom and adjoining en-suite is elegantly appointed in a palette of pale yellow, sky blue and soft green, island tones that complement the bedrooms traditional colonial antique armoires. 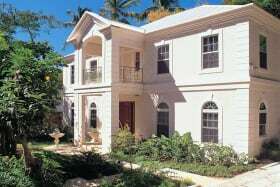 Mon Caprice's stunning furnishings include mahogany antiques, custom copper chandeliers, vintage rattan and original works handcrafted by local artisans. 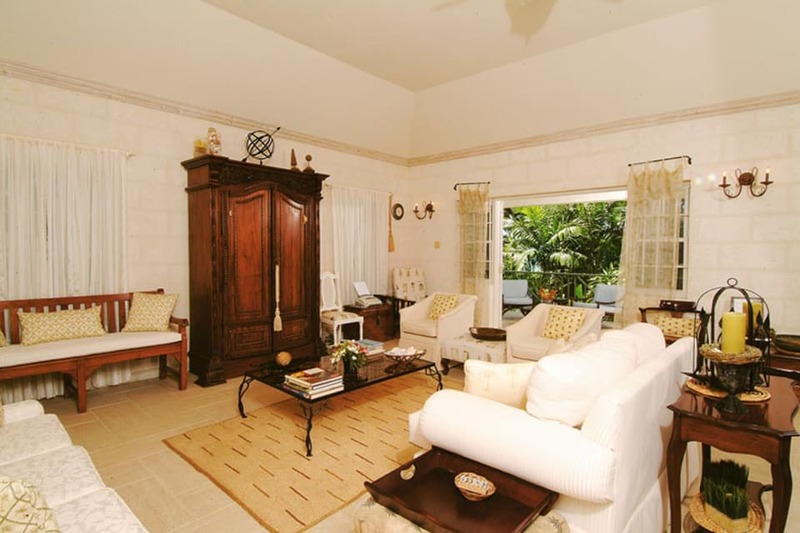 Beautiful mahogany entrance doors open into a majestic foyer decorated with intricate copper sconces and a carved coral stone credenza. 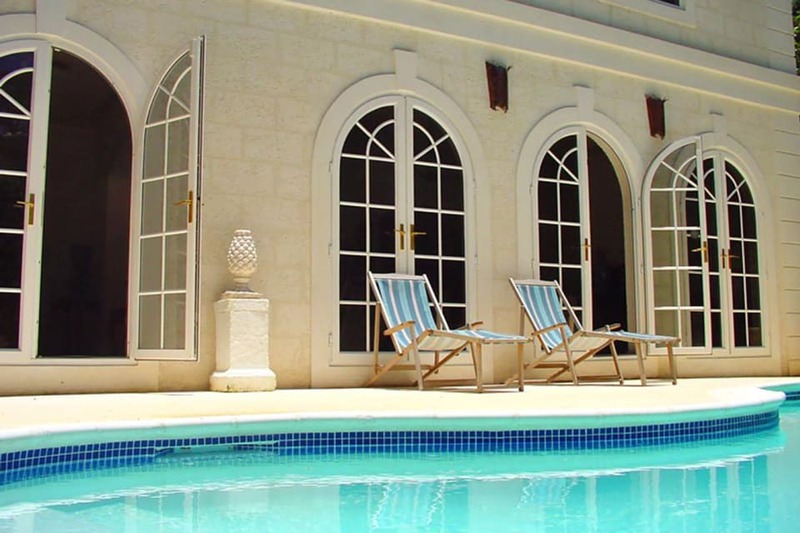 Tall Palladian windows filter the sunlight as it enters gracious living and dining rooms that have enchanting views of the garden and pool. 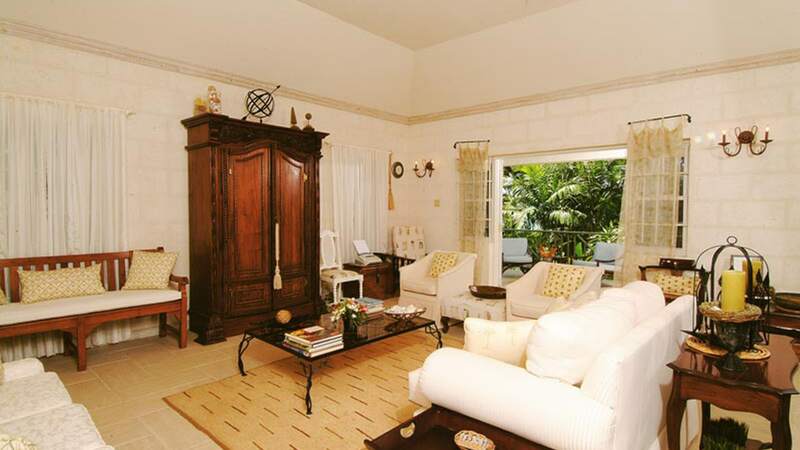 The formal dining room is furnished with an heirloom mahogany table that hosts twelve. 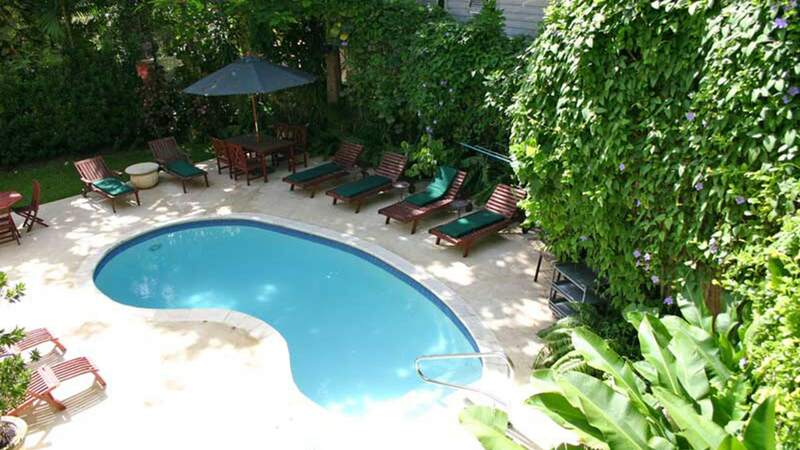 The private swimming pool is set in a lush tropically scented garden of heliconia, ginger lilies and hibiscus. Numerous old mahogany trees surround the property and help to maintain a cool environment during the day. 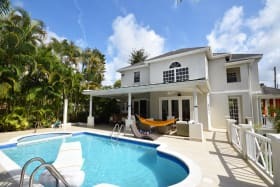 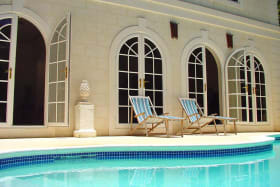 The pool's sun-filled deck and the upstairs terrace offer quiet relaxation and informal dining. 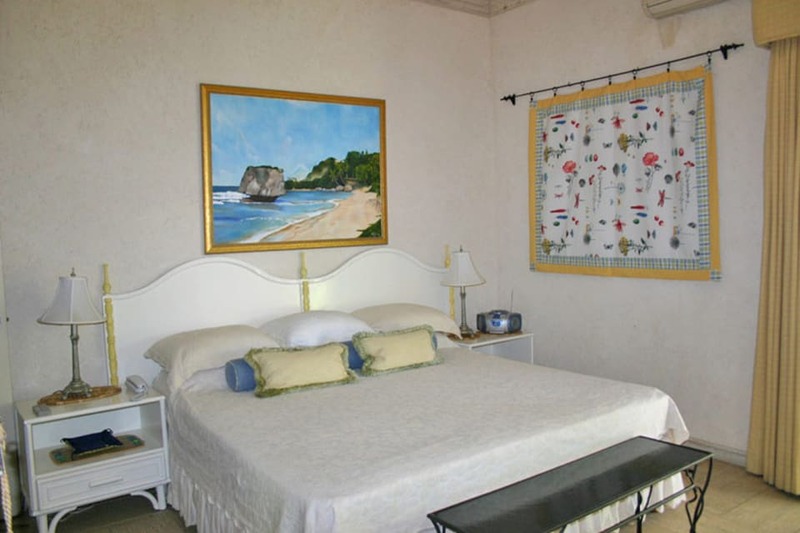 Once lit in the evening, Mon Caprice is transformed into a magical glow as light reflects off the high ceilings and tall coral stone walls. Whether it's enjoying a spectacular sunset and vista of the turquoise Caribbean Sea or a romantic candle-lit dinner in the upper terrace. 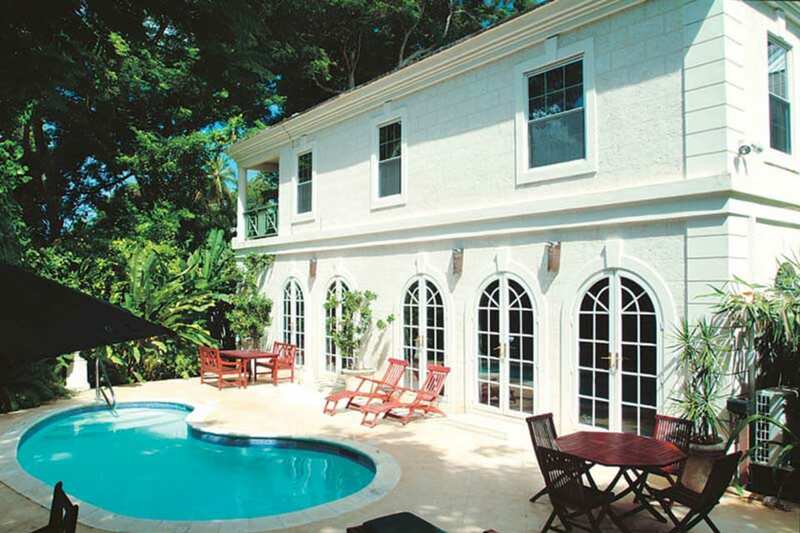 There is a private pathway access to the beautiful Sandy Lane beach.